Unlock BlackBerry Torch 9800 - Safe IMEI Unlocking Codes for You! Unlock BlackBerry Torch 9800 Handset! 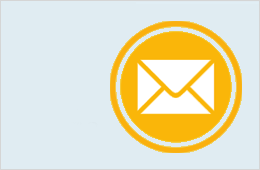 In case your Torch 9800 doesn't ask for the code and there is no designated field to enter it, please DON'T PLACE ANY ORDER, contact us first for support. 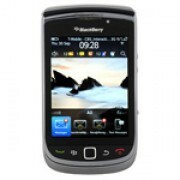 Get unlocked now your BlackBerry Torch 9800 mobile phone to use it with any GSM sim card worldwide? If yes, SafeUnlockCode can do that for you with our Fast and Safe Unlocking Service! Our unlock codes works for the latest models, like BlackBerry Storm 3, Bold, Torch, Pearl, Curve, Storm and others! Check out here The Full List of BlackBerry Devices! We are able to unlock the most GSM Carriers across the world including Fido, Bell, Telus, Verizon, At&t, T-Mobile, Rogers, Sprint, Vodafone, Three, Orange plus other major service providers. Please contact us if your Blackberry Torch 9800 is CDMA ( No SIM card slot) or needs to be unlocked to another CDMA carrier. We will provide you with a SPC or MSL code that will allow your CDMA Blackberry to work on another CDMA Network. How to Unlock BlackBerry Torch 9800 Phone - Tutorial! Please find bellow a step-by-step guide to follow in order to unlock your BlackBerry Torch 9800 device. 3. As soon as possible you will receive the code. This code is an 8 digit or a 16 digit code, depending by your handset model! I have question, If I unlock my smartphone, it will be permanently or just temporarily?